It is estimated that 90 percent of adults will experience at least one incident of tooth decay between the ages of 20 and 64. That leaves a very small percentage of individuals who properly care for their teeth, considering that cavities can be easily prevented. Even more disconcerting is that poor dental care can lead to greater health issues, such as heart or lung disease and diabetes. A recent study found that neglecting basic habits of proper dental care can raise your risk of heart disease by 70 percent—a really good reason to make sure you never skip a tooth brushing or appointment with your dentist in The Village of Cross Keys. Brush twice a day with an ADA-recommended fluoride toothpaste. For improved dental care, brush after every meal and snack. Floss at least once a day to clean between teeth. Use a fluoride mouthwash after brushing for further cavity prevention. Eat nutritious, tooth-friendly foods such as cheese, yogurt, and fresh fruits and vegetables, which are all teeth-healthy foods that aid in preventing tooth decay. Avoid sugary and starchy foods. 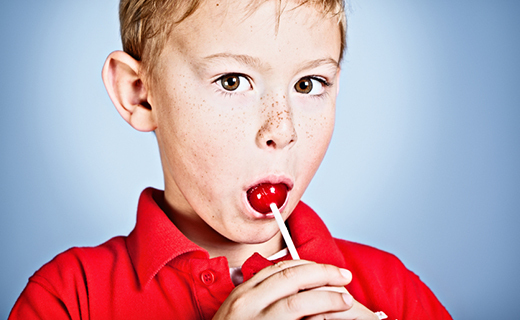 Sugar feeds damaging bacteria and leads to the creation of harmful acids that erode the teeth. Chew sugar-free gum that contains xylitol, which fights harmful bacteria in the mouth. Drink plenty of water. Whether bottled or tap water, drinking lots of water rinses the mouth and removes debris from the teeth. It also promotes the production of saliva, which contains helpful bacteria to further protect the teeth and gums. Drink tap water instead of bottled water. Most cities add fluoride to the public water supply to remineralize teeth and improve dental outcomes. And, bottled water, aside from being absent of fluoride, has been found in studies to contain dangerous chemicals that can harm your overall health. Consider dental sealants, which are a protective covering that your family dentistry practitioner can apply over grooves where food and debris can easily get stuck. Sealants last up to ten years and can offer you added protection against tooth decay. Ask your dentist about fluoride treatments for added protection against cavities. Make routine dental appointments a priority. Try to see a skilled, affordable dentist at least twice a year—or more, if recommended, to keep you dental health at its best.